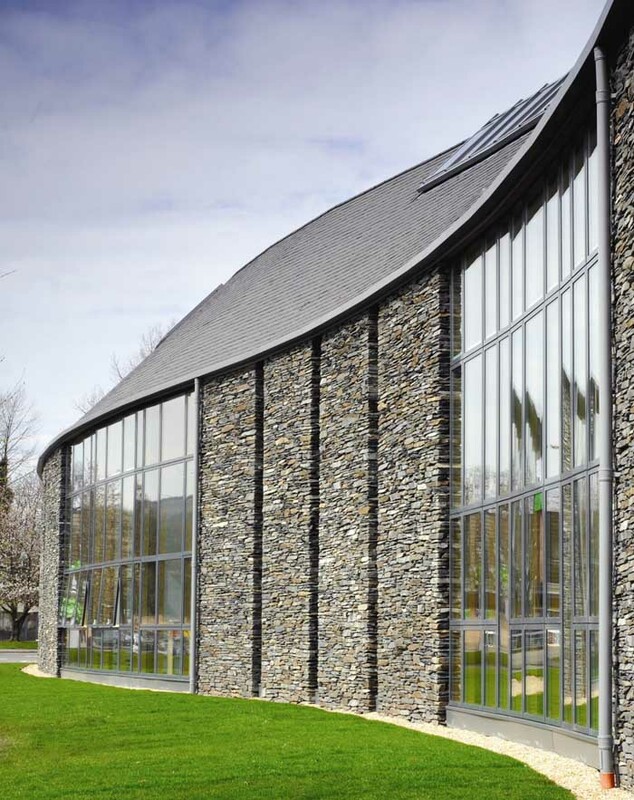 The recently completed headquarters for Loch Lomond & the Trossachs National Park will be officially opened on the 20th May by Michael Russell MSP, Minister for the Environment. Page Park’s appointment was made following a competitive tender and presentation by five short listed teams. The design team, led by Page Park comprised Buro Happold, Graven Images, Ian White Associates, and Gardiner Theobald; a unanimous choice selected by the panel. 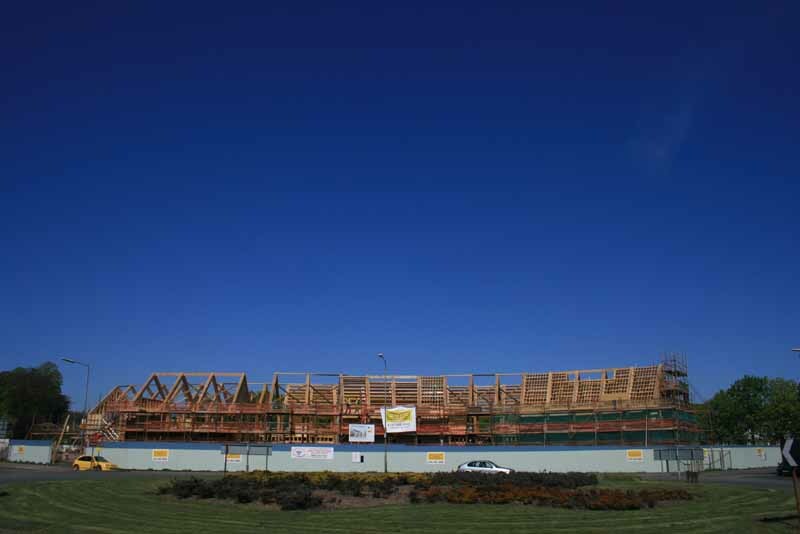 CBC was the principal contractor and Carpenter Oak and Woodland was the specialist subcontractor for the timber frame. 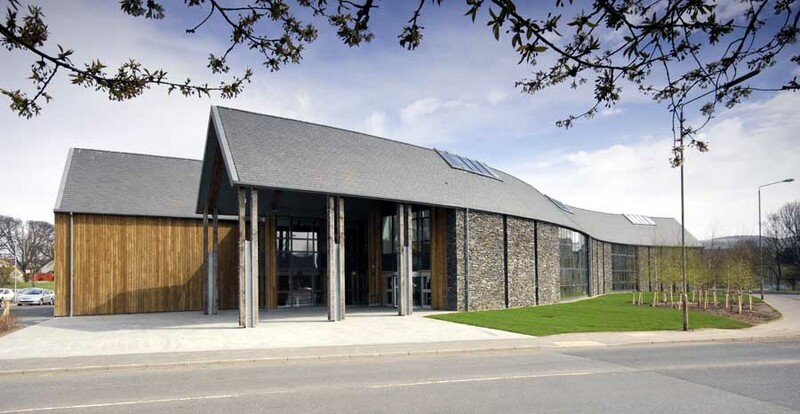 The new Building “Carrochan” provides a central headquarters building for the first National Park in Scotland that covers a region over 720 square miles north, east and west of Balloch. The new building provides flexible workspace for over 120 staff, associated community groups and partner agencies. The design team has striven to meet the client demands for an affordable, sustainable building that not only sets new standards for offi ce design but one that also affects ways of working, allowing staff to undertake a planned process of change. It is anticipated that the building will help the National Park to adopt new ways of working; the space will primarily function as an administrative centre that becomes an information point and meeting focus for staff and the community at a central hub in the Park. The original concept for the design was clearly influenced by the constraints of the site, the architects have taken advantage of the position on the edge of a roundabout to create a sinuous, curved structure that follows the contours to form a double roofed, two storey building that contains offices, meeting and conference facilities, a cafe, library and public meeting spaces. 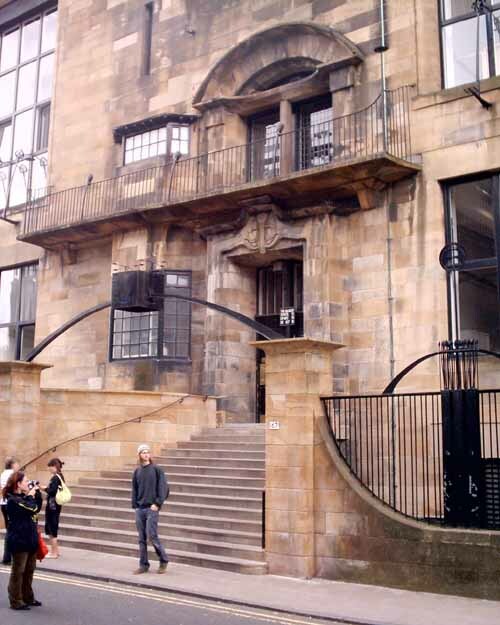 A large proportion of the National Park is forest, over 35 %, the Park Authority was anxious that this was refl ected in the use of timber in the building in addition to stone that represents the Highland Boundary which cuts across the Park. Carpenter Oak and Woodland worked closely with the architects at the design stage to create and then implement the barn-like structure that integrates the largest greenwood timber frame constructed in the UK. This frame supports a central glazed roofl ight, that runs though the building giving all the spaces access to natural ventilation and light. The frame is supported by the gigantic two-storey Douglas fir columns and beams. Additional natural materials are used widely throughout the building: natural slate roof finish, Scottish larch cladding on the rear elevation and sheep’s fl eece insulation. Sustainability was critical for the Park Headquarters; the building is well insulated and constructed to be largely air-tight. The services are designed to be energy effi cient. A biomass boiler, fuelled by woodchips from Argyll is used for heating and hot water. The building is naturally ventilated with automatically opening windows linked to the building management system that regulates the air temperature. To the rear of the building a reed bed area forms part of the sustainable drainage system for the headquarters. The building achieved an Excellent BREEAM Rating of 79% at the design stage, this supported the principal expectation of the National Park that project would be an exemplar of sustainable design and demonstrate that low CO2 producing buildings can be functional as well as beautiful. Loch Lomond & The Trossachs National Park, Scotland’s first National Park, was set up in July 2002. Its purpose is to balance four aims: conserve & enhance the cultural and natural heritage; promote sustainable use of natural resources; promote enjoyment & understanding of the park’s special qualities; promote sustainable social and economic development.